PACK OF TWO. 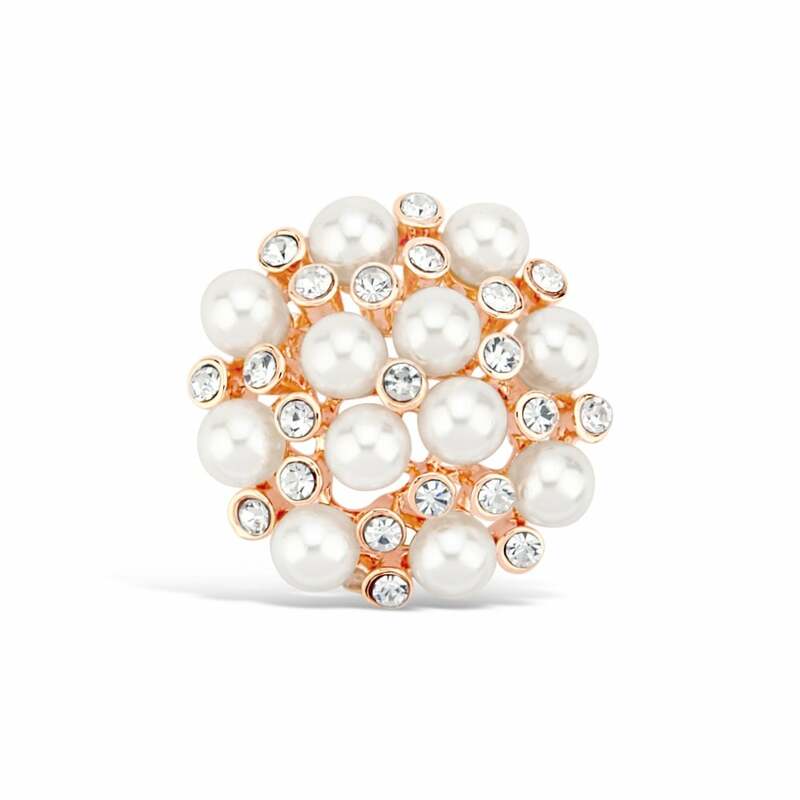 Rose Gold Plated Crystal and Pearl Cluster Brooch. With Ring Box.